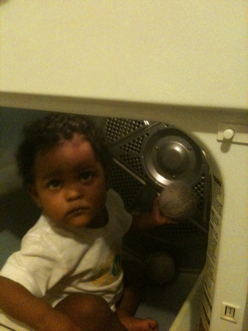 Wheatless Mama: Wordless Wednesday: Dryer Balls!!! Look at her!! so big!!! 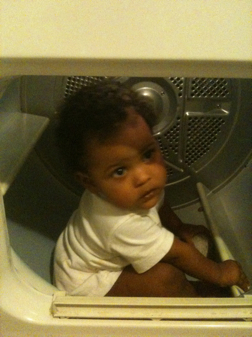 I blame you Maybelline for her getting into the dryer! 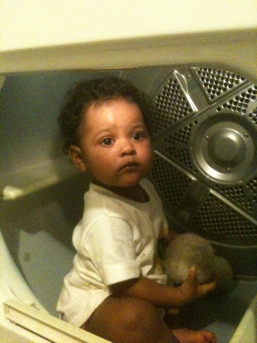 She loves those dryer balls. Guess I need to buy some more wool and make some just for her.